Fox News has fired contributor Kevin Jackson for his tweets about Brett Kavanaugh's accusers. Jackson used a pejorative to refer to the three women who have accused the Supreme Court nominee of inappropriate behavior. Jackson said Thursday on Twitter that the women were not to be believed, then referred to them using a demeaning word. "TO HELL with the notion that women must be believed no matter what," he said. Kevin Jackson is a conservative radio talk show host and author about black culture in the United States. He had been a Fox News contributor since 2014. Fox News said his tweets were inappropriate. "Kevin Jackson has been terminated as a contributor," a company spokesperson said in a statement. "His comments on today's hearings were reprehensible and do not reflect the values of Fox News." Jackson did not respond to a request for comment. 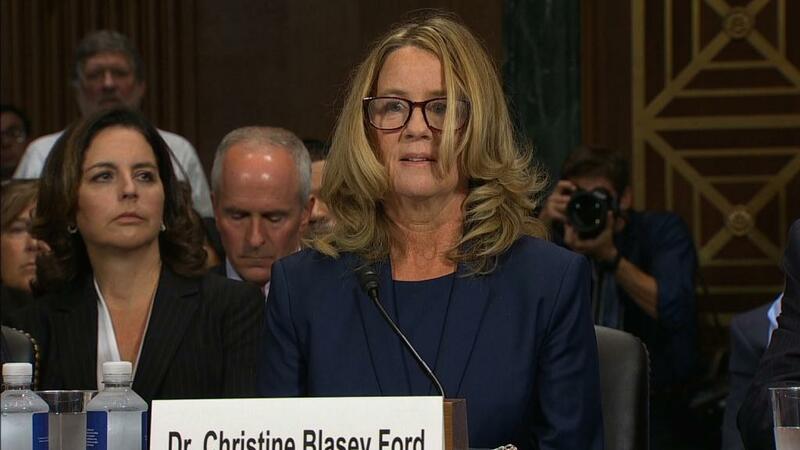 His dismissal comes after Fox's daytime journalists and commentators highlighted Christine Blasey Ford's credibility at Thursday's hearing, before praising Kavanaugh's testimony as persuasive. "I think we're probably, at the moment, back to where we were before the hearing started," Fox commentator Brit Hume said after hearing from both Ford and Kavanaugh. "I think the scales have been rebalanced." All three of the network's prime time hosts — Tucker Carlson, Sean Hannity and Laura Ingraham — have cast doubt on the claims against Kavanaugh and expressed support for his nomination. — CNN's Brian Stelter contributed to this report.